“Anyone can be a father; but it takes a real man to be a Dad.” I do not know where I first heard that, but to this day it remains one of my favorite quotes. For the last month on this blog I’ve focused on my football program and taken you inside what I have been feeling and going through as a first year head coach. But, today I want to change gears and focus on something a little different; fatherhood. Yes, I intend on intertwining the concept with football (did you expect anything different); however, this will be more of a focus on my journey as a father who has coached his two sons for the last 14 years and the feeling it has brought me. I still remember the moment my wife, Belinda told me. It was July of 1999 and I had just returned home from an exhausting all day, interactive football clinic at the school I was coaching at. I was a 27 year old varsity assistant with only football on my mind. We were married three years prior and our plan was to wait a few years before having our first child. She dropped the bomb on me that she was pregnant and my life changed forever. Nine months later, in February of 2000, Justin was born. Now the plan was to wait a few years for our second child to properly space them out, as all good child psychologists who do not have kids, say we should. However, life does not care what your plans are sometimes, so 15 months later in May of 2001, Brandon was born. I was ecstatic. She, not as much. Of course she was excited about the idea of another child, but two kids 15 months apart was tough to wrap your mind around. Two sons. Two boys to carry on the Veliz name. Two young men I could mold and shape and guide. It was a dream come true for any man. Has it always been easy? Absolutely not. Has it always been worth it and rewarding? Absolutely. My father, Arturo Veliz, is an 84 year old retired U.S. Postal Letter Carrier who served in the U.S. Air Force. He is a carrying and loving man, but he is also very blunt, very direct, and instilled great discipline with myself and my siblings. He still comes to my games to this day to watch me and his grandsons; and after each game he scrutinizes and second guesses my play calling. I simply nod and respond with “I know Dad. I shouldn’t have called that play.” He is the only person in America who can come up to me and criticize me. He has that right. He is my Dad. He coached me in little league and he was harder on me than anyone else. Of course, I did not understand why at the time, but I do now. In past blogs I touched on accountability, discipline, and respect within my program. These are all concepts I learned from him and my mother, Dolores, who passed away in 2010. They hammered this into us as kids and in turn I passed these thing on to my boys. Simple things like saying hello to adults when you walk into a room, saying yes sir or yes ma’am, showing respect, and quite simply, just displaying high character. You might be reading this and thinking some of it is a bit overboard and not necessary, but it is. Little things add up to big things. As I previously mentioned in my opening blog a month ago, I left coaching in 2000 to spend more time at home with my wife and son…and soon to be second son. My plan was to coach them in Little League for a few years, give them a foundation, then return to high school ball. Once again, life always ruins our plans. 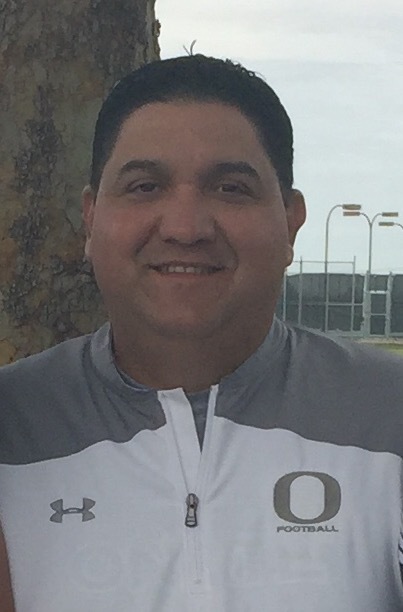 From 2003-2011, I was out of high school football, but I got my fill coaching my sons by running one of most successful and developmental youth baseball programs in West Texas. The El Paso Sun Kings were a program that I started and ran for my boys. The original idea was to coach only them, but it ended up turning into a 10 team program that played tournaments across the country. 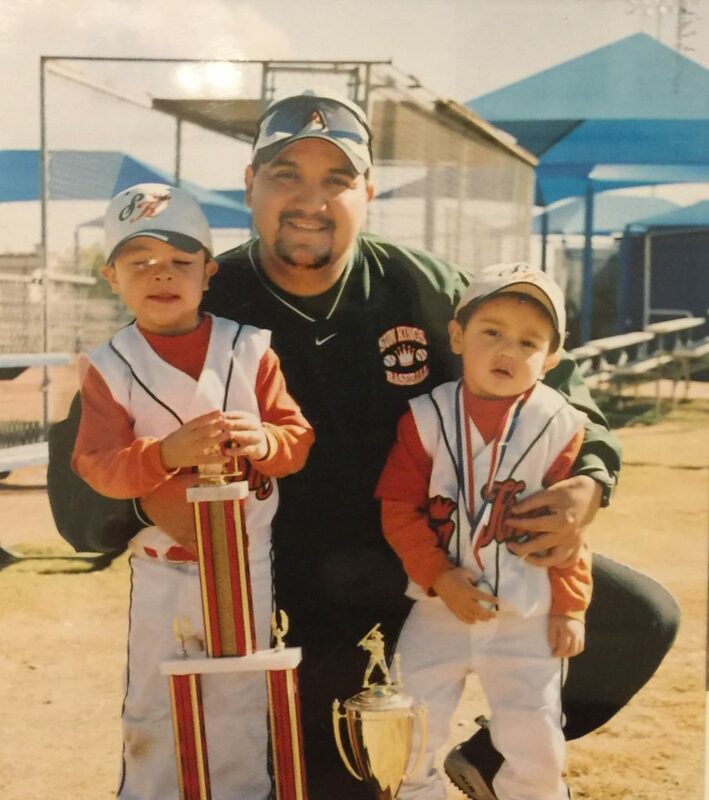 Coaching my two boys was always special, but not always easy. Being a coach’s kid, you are under the microscope, like it or not. Your mistake is magnified times 100 compared to other kids, because you’re the coach’s son. Of course, we are all products of our environment, so I from Day One and still to this day, I am harder on them than anyone else. Maybe sometimes too hard. It’s tough to balance Dad-Coach on the field. Very tough. But, I truly feel that it was my approach, like my father’s approach before me, which made my two sons what they are today. They are not Division I prospects, but they’re very good ball players that are on the honor roll every single term. They are not heavily recruited, but they are leaders with great character. They may or not play at the next level, but I know in my heart they will be successful in life at whatever they choose because of the values instilled in them. It is going to be extremely tough to see Justin go after this year, and Brandon after the next, but I can smile and sleep at night knowing that my sons get it…they get it. Until next time…BUY IN-SELL OUT & SWING YOUR SWORD! !